Former Warped Tour artist turned pop megastar Katy Perry has announced a massive summer tour of North America, dubbed the “Prismatic Tour,” in support of her latest release, Prism. 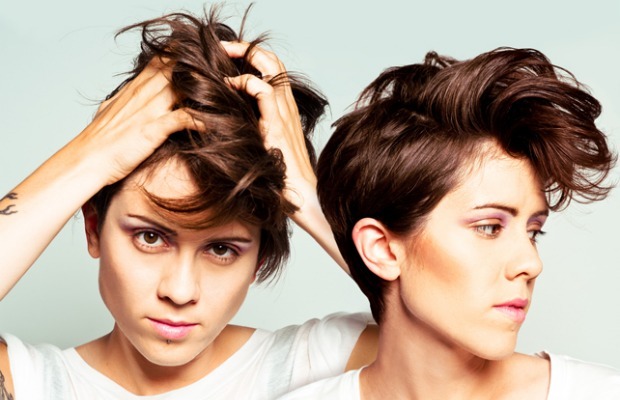 Among the acts joining Perry on the road is Tegan And Sara, out in support of last year's Heartthrob. Tegan And Sara will join for the tour's third leg, which kicks off in Sept. Capital Cities and Kacey Musgraves will support for the first and second legs, respectively. Prior to “Prismatic,” Tegan And Sara will perform a handful of scattered dates and festival appearances, along with joining Paramore for their first ever sponsored cruise, “Parahoy!,” in March. As long time fans of @katyperry we are overjoyed to be joining her on the 3rd leg of her North American tour!! More info coming later today! Feb. 5 – Barclays Center – Brookyln, N.Y.
March 3-4 – Suburbia Music Festival – Plano, Tex. March 14 – Coliseo De Puerto Rico – San Jaun, P.R. April 5 – Palm Springs Convention Center – Palm Springs, Calif.
May 2-4 – Big Guava Music Festival – Tampa, Fla.
May 16-18 – Hangout Music Festival – Gulf Shores, Ala.
June 19-22 – Firefly Music Festival – Dover, Del.